Backstreet Boy Howie Dorough and his longtime girlfriend, Leigh Boniello, are engaged, the couple tell PEOPLE exclusively. They plan to marry later this year. "She wasn't expecting it, and I was quite nervous – more nervous about proposing to her in front of 40 family and friends than about performing in front of 40,000 people onstage," Dorough says of the New Year's Eve proposal at Boniello's family home in New Jersey. The couple, both 33, met in 2000, when Boniello, a film-exec-turned-real-estate-broker, was working as the Backstreet Boys' Webmaster. They say they were "very careful" to keep their engagement private at first, but with the wedding right around the corner, felt it was finally time to share the news. "We're very, very excited," says Dorough. "And I asked her mother, father and grandmother for their permission," he adds. "He decided to pull a practical joke on me in front of my whole family," Boniello says of the big day. "He acted like he forgot to give me one present for Christmas – it was in a large box." Playing off an inside joke that Dorough was "dangling carrots" in front of Boniello whenever they talked about marriage during their 6-year relationship, she opened the box and found three large carrots inside. "She was laughing and trying to tell everyone the joke and by the time she turned around I was down on one knee with the real carrot," says Dorough. Make that more than three carats. Dorough, a native of Orlando, designed the engagement ring – one round, brilliant-cut diamond surrounded by two smaller round diamonds, all set in platinum – with a family friend at Plantation Jewelers in Winter Garden, Fla.
"It meant a lot for my whole family to hear it," she says. "The room was filled with love, more than I ever expected." The couple is planning a wedding for 250 guests while the Backstreet Boys, currently promoting their new single "Inconsolable," prepare to release their sixth studio album on Oct. 30. 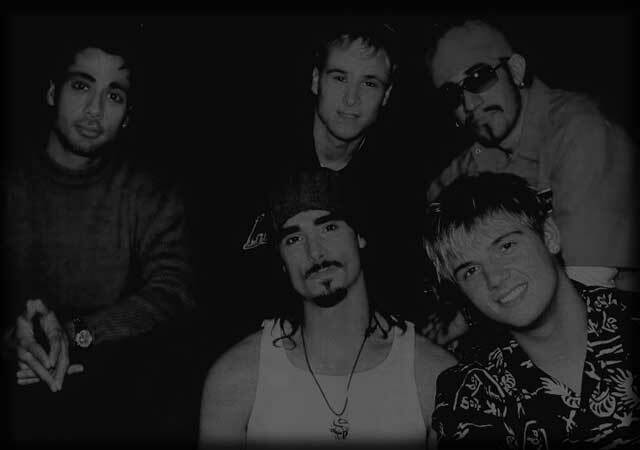 "We've invited all the Backstreet Boys, including Kevin [Richardson]," says Dorough, who has no hard feelings about Richardson's departure from the group last summer. "Actually, Kevin was one of the first people I told about our engagement." And like Richardson – whose wife Kristin gave birth to son Mason in July – Dorough and Boniello say they can't wait to start a family. "Hopefully I will be the next one to add to the [Backstreet Boy] family," says Dorough. Prev Item: Backstreet's Back! New Single 'Inconsolable' Now On Your Radios!